Born April 24, 1914 in Cayey, Puerto Rico. 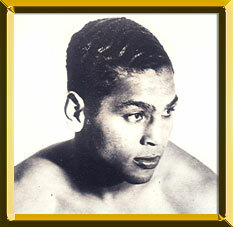 Widely regarded as one of the all-time great boxers from Puerto Rico, Montanez began boxing in 1931 and captured the Puerto Rican lightweight title in 1933. A European tour followed and “El Torito” registered victories in Spain, France, England, and Italy. The Puerto Rican pugilist was next showcased in New York and he quickly became a sensation. Wins over Aldo Spoldi and Frankie Klick among others set up a non-title bout with lightweight king Lou Ambers. Montanez won a 10 round decision and was dubbed the “uncrowned champion.” Impressive wins over formidable foes Eddie Ran, Wesley Ramey and Freddie (Red) Cochrane set up a title go with Ambers on the September 23, 1937 “Carnival of Champions” show at the Polo Grounds in New York City. Although he was defeated for the first time (L 15), Montanez bounced back to continue his winning ways in bouts with Jackie (Kid) Berg and Young Peter Jackson. He retired in 1940 with a 92-7-4 (54 KOs) record. After hanging up his gloves, Montanez trained up and coming fighters and found success as a businessman. He died June 26, 1996.